I already put 20 hours into my copy of Pokemon X and Y (X to be exact my brother got Y) and I’m excited. To honor and promote Pokemon Nintendo decided to create an anime version of the original Pokemon games. They didn’t disappoint one bit. The anime is so true to the games that they even feature the save screens at the beginning and end of each episode. Using the same soundtrack and the same sound effects really adds to the experience. The animation is superb and the action scenes are amazing. The tone of the anime was far more serious than the other Pokemon series (team rockets murder of a Marovak was depressing) . 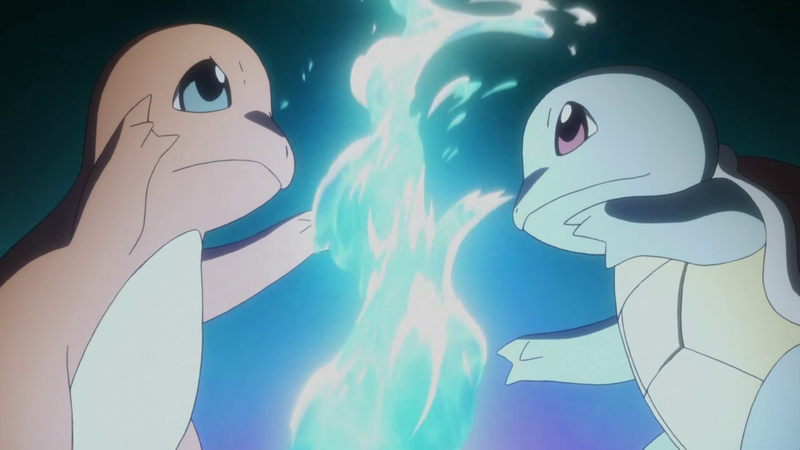 The first battle between Red and Green was intense and brutal (charmander’s scream still haunts me). The biggest downside of this mini series is the skipping of the battles (The Gyms, the Elite four and Red versus Green). Showing highlights of the best battles while understandable was still disappointing. Red is impressive unlike Ashe (who has some moments) but Red manages to capture ALL 150 Pokemon instead of befriending and releasing them. Overall, I would undoubtedly recommend Pokemon Origins to all fans of Pokemon.